Christmas is very close and you haven’t got the ten gifts. Maybe if you help the dwarves you could escape in time. 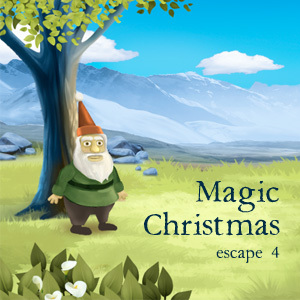 This entry was posted in Escape Games, Featured-games, Games, Our games and tagged adventure games, casual games, christmas, escape games, free online games, games, logic games, point and click games, puzzle games. Bookmark the permalink. Thank you, thank you!!! There are some very lovely twists to this game! Hooray! I knew it would be out any day now. I’ve been waiting patiently for my Christmas surprise. Thank you for all your games over the years. I’ve enjoyed them all. On another note, if you want to give me a hint on how to get past those damn skeletons I’d really appreciate it. I’m stuck and can’t progress through the game. Merry Christmas Fede. And Happy New Year too! I did all the “Christmas escape” series and I like “3” the best.